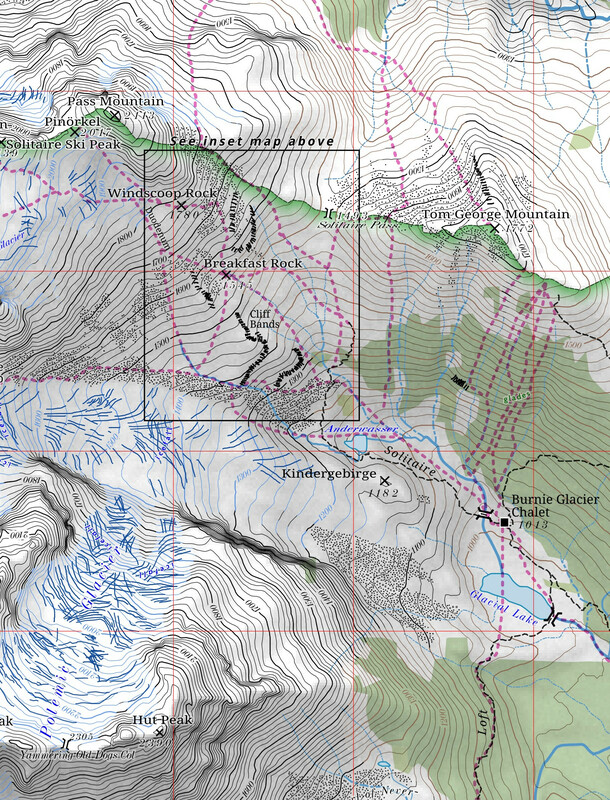 This is a backcountry ski guide's map, to be used in route-finding with clients from the Burnie Glacier Chalet. It shows the central section of the Howson Range of northern British Columbia; the chalet itself is reached by helicopter. Shaded relief and contours were generated from SRTM elevation data; specific details of topography were tweaked based on the testimony of guides. Overall style is based on that of the German Alpenvereinskarte. 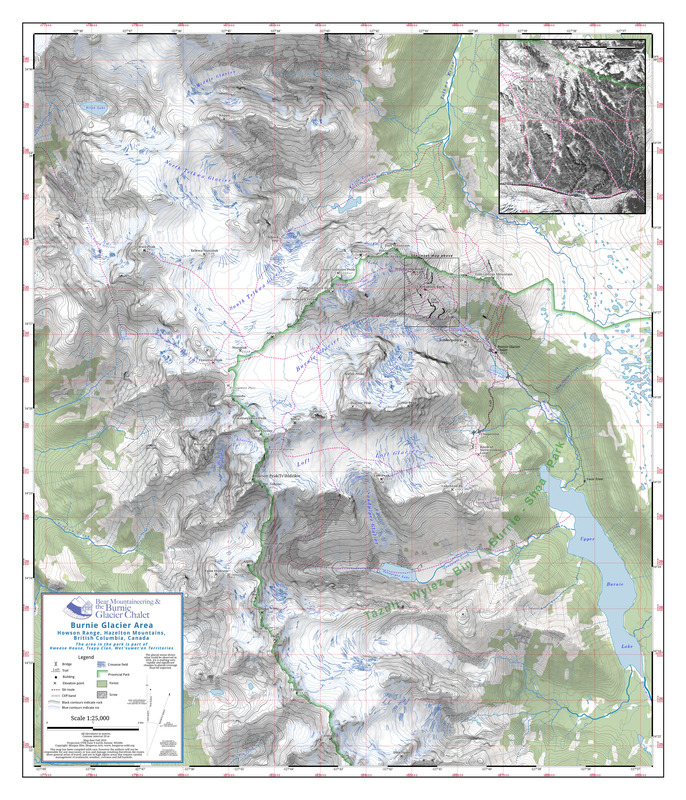 Scree, rock and glacial extents were digitized from recent aerial photography. The base map was made in QGIS. Shaded relief was done in Blender, based on SRTM data. Labels and explanatory notes were added in Inkscape.